"A rowdy, memorable and hugely enjoyable show. Against the odds, Dave's shaping up nicely." 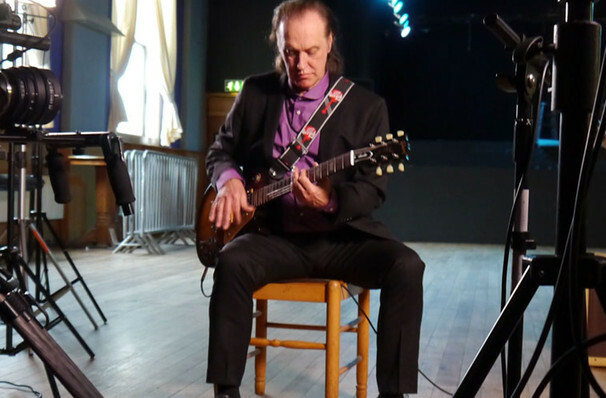 An iconic figure in musical history, Dave Davies is one of rock and roll's deservedly respected guitarist and vocalists. 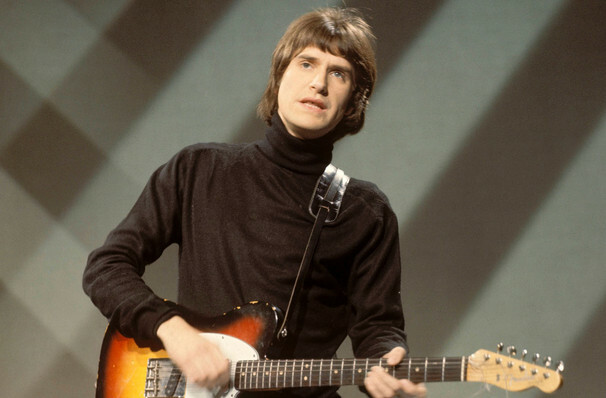 As one half of The Kinks and a successful Solo artist he has won critical and commercial acclaim since the early 1960s and returns to North America to play a handful of unmissable dates. Alongside big brother Ray, Mick Avory and Pete Quaife, The Kinks were one of the 1960s most experimental and explosive acts, with songs reaching from dozens of genres and a sharp style to match. They performed relentlessly, where Dave became known for his furious approach to the music and sometimes his bandmates. Personal pressures aside, their stunning and extensive back catalogue includes some of the 20th century's most recognized and beloved classics, including 'Lola', 'Sunny Afternoon', 'Waterloo Sunset' amongst many many more. 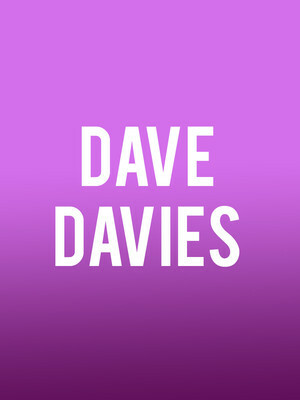 Expect to hear a few of them and also to delve into Davies' own solo career, which began in 1967 with 'Death of A Clown' and has extended well into the last decade, with 2014's retrospective sounding 'Rippin' up time' and last year's Open Road, a collaboration with son Russ. Sound good to you? Share this page on social media and let your friends know about Dave Davies at Hackensack Meridian Health Theatre. Please note: The term Hackensack Meridian Health Theatre and/or Dave Davies as well as all associated graphics, logos, and/or other trademarks, tradenames or copyrights are the property of the Hackensack Meridian Health Theatre and/or Dave Davies and are used herein for factual descriptive purposes only. We are in no way associated with or authorized by the Hackensack Meridian Health Theatre and/or Dave Davies and neither that entity nor any of its affiliates have licensed or endorsed us to sell tickets, goods and or services in conjunction with their events.